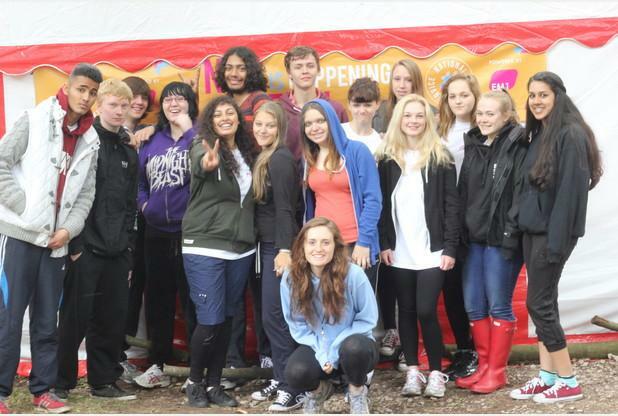 Over the summer groups of teenagers from The National Citizen Service have given up four weeks of their holidays to raise cash for The Ashmount Appeal. The total raised was close to £4,000 with each of the groups raising about £1,000 each. The school is very grateful to N.C.S. and organisers Leicestershire Education Business Partnership. Head and Deputy Dave Thomas and David Deacon have both been to 'graduation ceremonies' at The Showcase Cinema in Leicester where the groups have been presented with certificates and thanks for all the work they have done. This has been a fantastic community link for the school and shows the determination and inspiration of young people to work for worthy causes.